With the endorsement of our experienced professionals, we are engaged in offering a wide array of Capsule Counting Filling Machine to our esteemed clients. The machine offered by us is manufactured using high grade approved components and progressive technology. Our offered machine is available in various configurations based on client’s requirements. Apart from this, offered machine is manufactured in accordance with the universally accepted norms of quality to furnish maximum satisfaction to our clients. We are the leading manufacturers and exporters of tablet filling line that are specifically designed to meet the requirements of pharmaceutical. These machines are automated and are compared as best for its outstanding features, both functional and mechanical. These are extensively recognized for their well-built, corrosion resistance and long working Capsule Counting Filling Machine. Semi-automatic Capsule Filling Machine Size-00 Semi-automatic Capsule Filling Machine gives output of 25,000 to 30,000 capsules per hour and suitable for filling capsules of all sizes with powder, pellets & granules. It is comparable to the best because of its outstanding mechanical & functional features. Semi Automatic Capsule Filling Machine Our company is noted as one of the well known manufacturers, exporters and suppliers of Semi Automatic Capsule Filling Machine . These machines are automatic and demanded for their high efficiency, durability and long functional life. 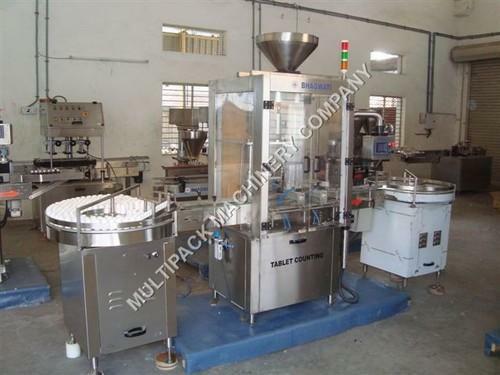 These machines are highly used in pharmaceutical industries for filling capsules. 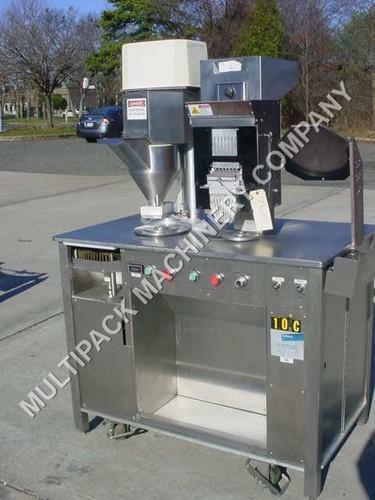 Looking for “Tablet Capsule Counting & Filling Machine”?